Clinical anecdotes and observations about the power of estrogen have been supported by the results from systematic studies, especially of elderly women living at home. In a report from the Baltimore Longitudinal Study on Normal Aging, 472 menopausal and postmenopausal women were followed for sixteen years. Women on estrogen-replacement therapy were 50 percent less likely to develop dementia. Other studies of women living in the community have also shown that estrogen provides a protective effect against dementia. Most of these studies suggest a twofold to fourfold protective effect, meaning that if you are sixty years old and your risk of getting dementia in the next ten years is 12 percent, this risk will drop to 3 to 6 percent if you are taking estrogen. 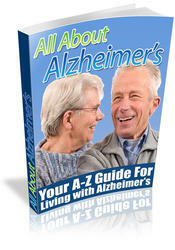 No one is suggesting that estrogen will cure Alzheimer's, but rather that the procognition properties of estrogen will delay the onset of the disease by several years. The results of several studies indicate that the longer you take estrogen, and the higher the dose, the greater the protective effect against this dreaded disease. In a study that used the cholinergic medication tacrine (Cognex) to treat Alzheimer's disease, an incidental result was that women who also took estrogen were the patients most likely to improve cognitively with tacrine. This intriguing result suggests that estrogen may be particularly effective when used in combination with other medications. Recent studies suggest that estrogen by itself is not an effective treatment for Alzheimer's disease. However, other studies show that estrogen may slightly enhance memory performance in postmenopausal women who do not suffer from memory loss. My view is that estrogen may be particularly effective in women who have symptoms of both depression and cognitive impairment. This dovetails perfectly into the differences that I observed between the two sisters, with Cynthia suffering from mild depression and mild memory loss while Myra had neither syndrome and took estrogen. Recently, several large-scale studies, including the Women's Health Initiative under the auspices of the NIH, have been launched to evaluate the direct effect of estrogen in preventing and treating mild memory loss. This massive investment means that it is likely that our knowledge about the effects of estrogen on memory will leapfrog over all the other promemory medications in the coming years.